It’s 2 a.m., and the bars are closing. You’re not ready to head home just yet; you want to keep grooving. After hearing whispers about Tilden, an after-hours bar downtown, I finally tried it out this weekend. It might have been the best time to do so. 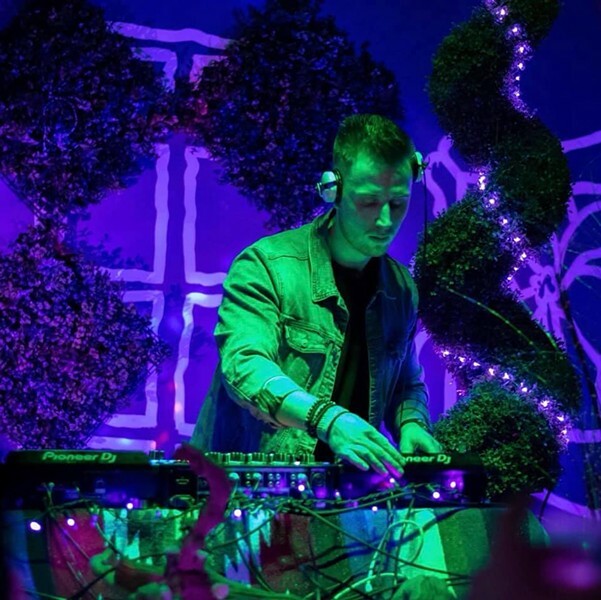 Both Friday and Saturday night – or Saturday and Sunday morning - OG resident DJ and Pittsburgh native Thomas Hricik, aka Tenova, ended the night with blood-pumping house and techno music. Before heading over to Europe, where the house and techno scene is much more vibrant, Hricik wanted to make sure Pittsburgh was the final stop on his two-week U.S. tour. On top of Tilden being his home away from home as a resident DJ, Hricik used to be the venue's music manager, making sure to play at least four different types electronic genres every night, not just the mellow, more underground styles of house typically associated with after-hours clubs. His mastery of multiple genres showed throughout his set, taking attendees' BPM up, down, and back around. Hricik’s transitions where so effortless that it was hard to tell where one song ended, and another began. The music naturally infiltrated the body, causing irresistible gyrating and hip swaying. The frosting on the cake was the intimacy of the club. It’s small, but there is room to sit, relax, and chat with friends. The dance floor has wide, arching windows that overlook Liberty Avenue, in front of which is the DJ stand. Instead of propped up, high on a stage, Hricik was right there with the crowd, a hair above eye level. Close enough to touch (but that would be creepy). It’s a feeling that is unmatched at any bar or club I have experienced in Pittsburgh, so far. Entering Tilden was like going down an electronic rabbit hole. I left wondering where I just was, feeling as though I had just walked out of a secret European club. Thank you, Tenova. Note: Tilden is a membership bar, but on nights like the past weekend, the membership fee is waived for a one-time cover charge. Check out Tilden's Facebook page for updates on events like the one above.